This is a black and white photograph taken by a lady called Sha Sha Chu. 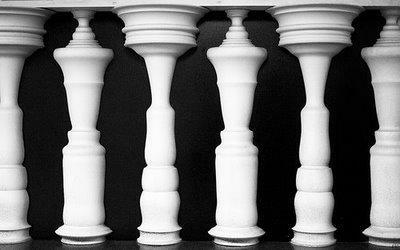 The image is of a row of white columns but it also gives the illusion that you are looking at a row of human figures in black. Which image stands out the most to you? The columns or the human figures?